Who can resist this cheeky face though?! 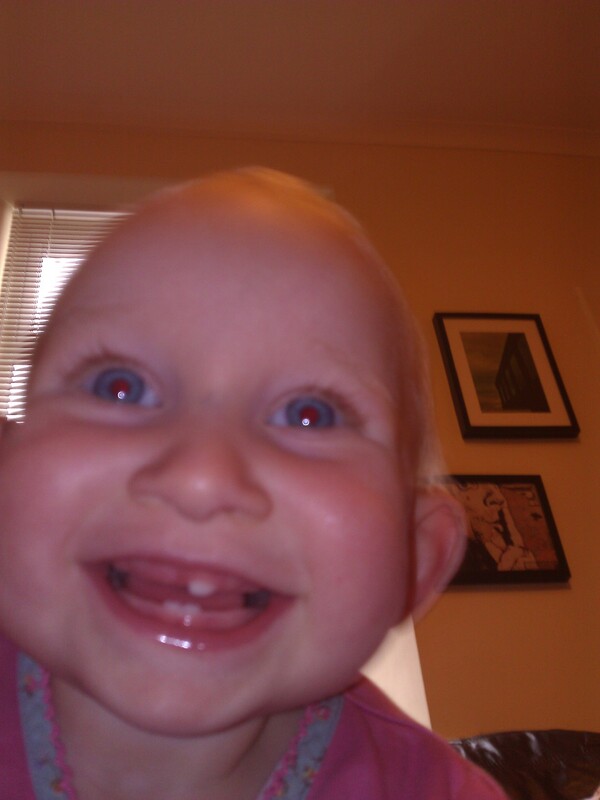 Three teeth now and loving life! LOL why is it always the places they are not supposed to be they love the most? 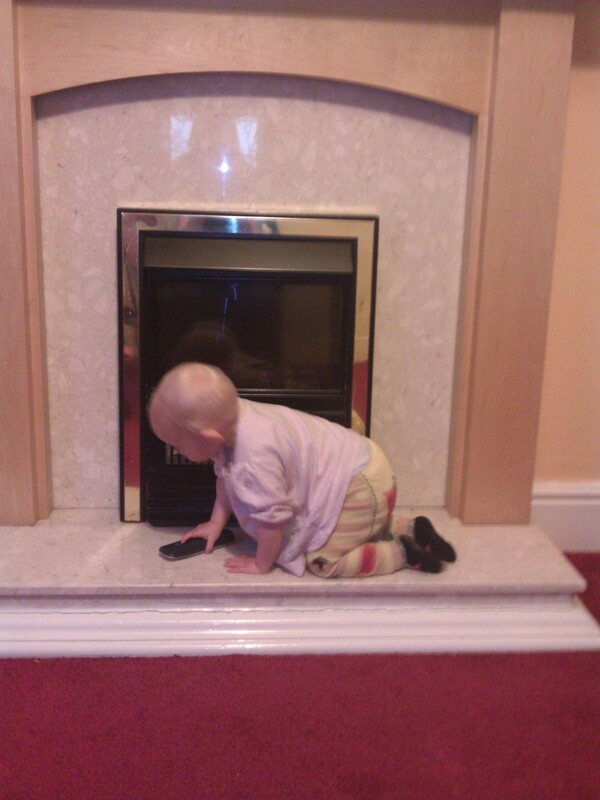 Our fireplace has a huge guard around it as my little girl loved taking all of the stones out of the fire! Such a cute photo! It might not be an achievement but i love it when they start exploring. There is nothing quite like seeing the world through their eyes!